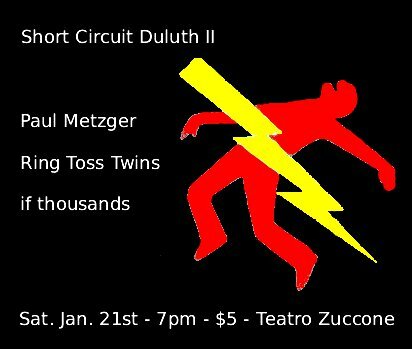 If you happen to be in or near Duluth MN, please feel free to stop by and check out a wonderful show happening on 1/21/2012. Fantastic music from Minneapolis experimental bands will be performed at Teatro Zuccone. There is also an after hours party with Tim Kaiser and Lo-Gain.